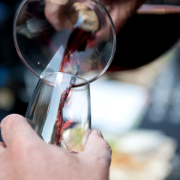 You may be interested in the following sites as resources to help you learn about and explore wines and the event industry. If you own a site which complements ours and would consider linking to us, please get in touch by contacting us by email and selecting link exchange in the dropdown. A great resource for locating and pricing wines. By using a By The Glass wine pouring and storage system you ensure that your fine wines are always served at the ideal wine temperature. By The Glass wine dispensation and preservation systems by Wine Cellar Depot in Vancouver BC Canada. Independent opinions, recommendations, advice and restaurant reviews from "the doctor" who has over a decade of experience exploring wines. His authoritative site includes many independent wine recommendations. Wine writer, Natalie MacLean, offers a free bi-weekly e-mail newsletter that covers a wide range of topics: restaurant wine lists, food and wine matching, the health benefits of wine, and her top wine picks. A US based website and blog about all things wine. A US site with Food & Wine reviews and wine articles. Online wine merchant based at the Adnams Brewery. Supplies a wide selection of wines from around the world which can be purchased by the bottle or by the case. 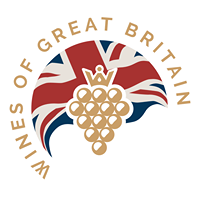 A leading UK supplier of wine storage solutions. A company specialising in the installation of concrete wine cellars in your home. Sole supplier of the Spiral Cellar system in the UK. Wine Cellar Depot in Vancouver BC Canada ships wine cellar cooling units, wine racks, wine cabinets, wine coolers, wine dispensing and preservation systems, wine accessories and more to Canada, United States and beyond. Wine aromas to help you master the art of wine tasting and develop your sense of smell! Bordeaux Chateau offering mini-breaks and one day WSET foundation course. Specialise in tours for small groups to wine regions including Champagne, Burgundy, Bordeaux, Chablis and The Rhone Valley in France. A specialist wine tour operator offering a broad selection of holidays and trips in the vineyard regions of France. Wine tasting tours in Burgundy. Wine & gastronomic tours in Burgundy. Cultural and culinary tours of Catalonia—a gastronomic goldmine hugging Spain’s northern Mediterranean coast. Villa Pandolfini - A 14th century estate producing red wines; olive oil just near Florence, Italy. The estate also offers self catering accommodations & cooking classes in Italian cuisines. Organise a hen party across the UK with the help of these useful tools, search facility, ideas and inspiration. Gobananas can arrange parties for all types of groups and budgets, including hen and stag parties and team-building events. Their party ideas and packages offer something for everyone. Corporate hospitality and entertainment specialists. Contraband International is a corporate events and entertainment agency based in London. Office Christmas organise corporate Christmas parties in Bristol and all over the UK and Europe. Stella did a fantastic job creating a new logo for us and completely redesigning our website. A rugby clothing brand set up by local Twickenham friends - high quality rugby shirts and accessories that represent 13 of the original 21 founding rugby clubs. We have used ThirtyFifty for a number of wine tastings, from 10 attendees to 120, and can highly recommend them for their entertaining and highly memorable events. For me personally one of the best outcomes is the increased knowledge of varieties and I can now walk into a bar or restaurant and feel confident to order a wine other than Sauvignon Blanc. Chris did an amazing job on Friday so thank you again!